Grand Teton National Park is a national park located in the northwest of the state of Wyoming. 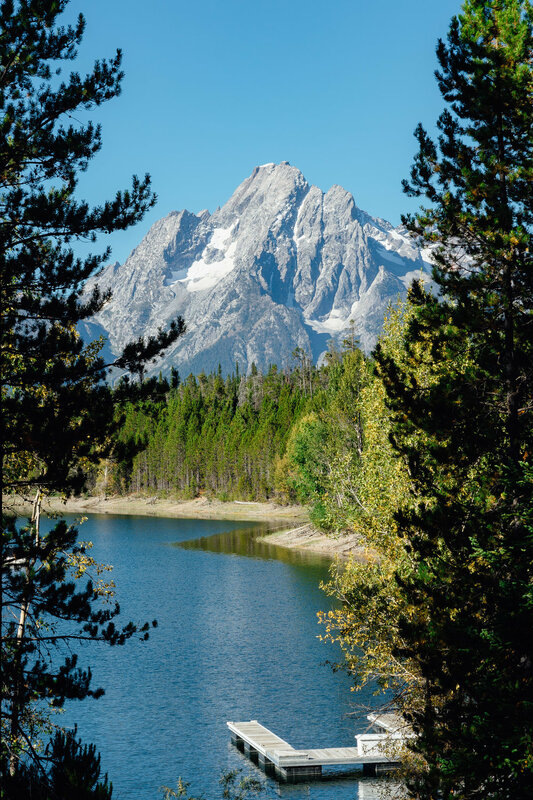 Its namesake, the Grand Teton, is the highest peak of the Teton Mountain range that cuts directly through the park. 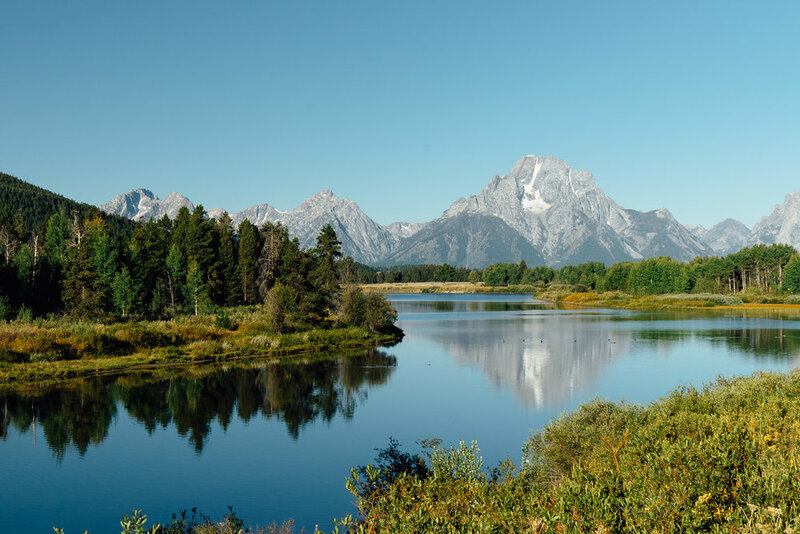 Although it is located directly south of the quirky Yellowstone, Grand Teton has a very different landscape - a “classic” national park with picturesque mountain range, clear lakes, and lush green alpine trees. John D. Rockefeller, Jr. Memorial Parkway is the main scenic road connecting Yellowstone and Grand Teton. View of the Grand Teton from the Colter Bay Visitor Center. The boat ride across Jenny Lake to the Cascade Trail head. 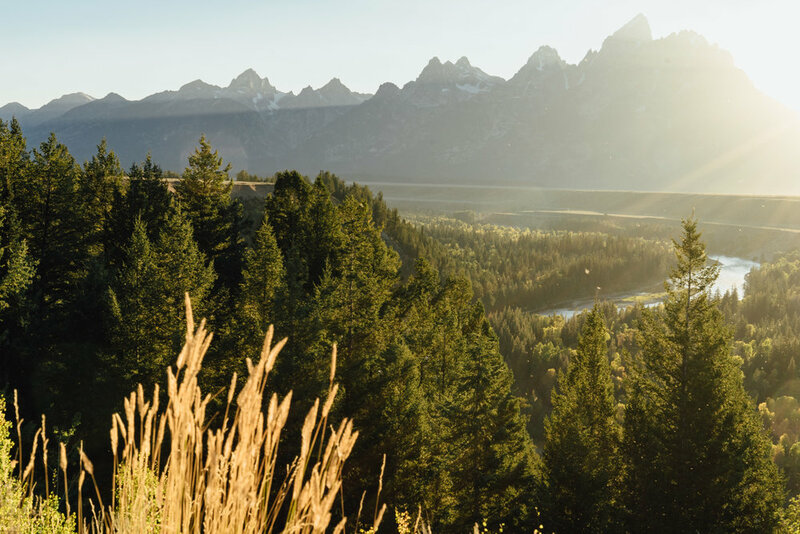 The 14-mile round trip Cascade Trail cuts through the Teton range alongside the Cascade River. It is one of the most popular hiking trail in the park. However, the trail gets more peaceful if you are willing to walk further than the Inspiration Point. A peaceful scenary along the Cascade Trail. The moon is clearly visible just above the Teton Range. A 5-star picnic spot with a view of the Teton Range from the east side of the park. 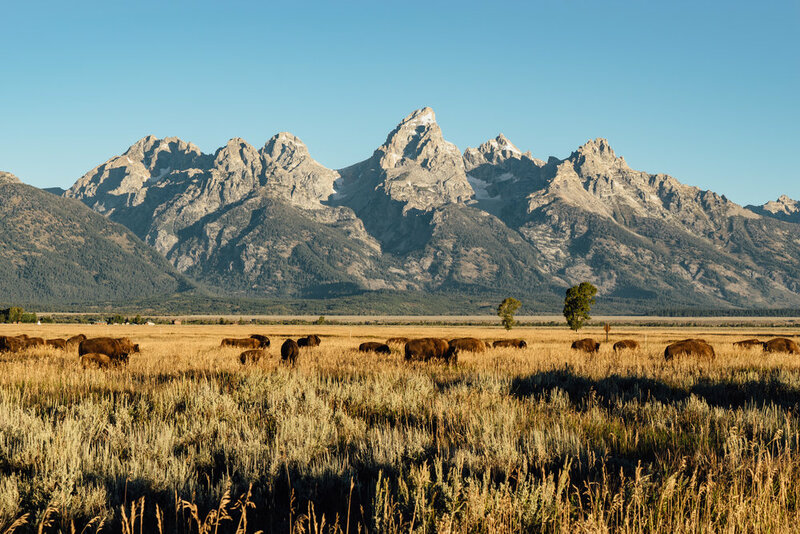 The Grand Teton is always majestic whichever way you look at it. The Snake River winding in front of the Teton Range. This is location where Ansel Adams took his famous photograph. 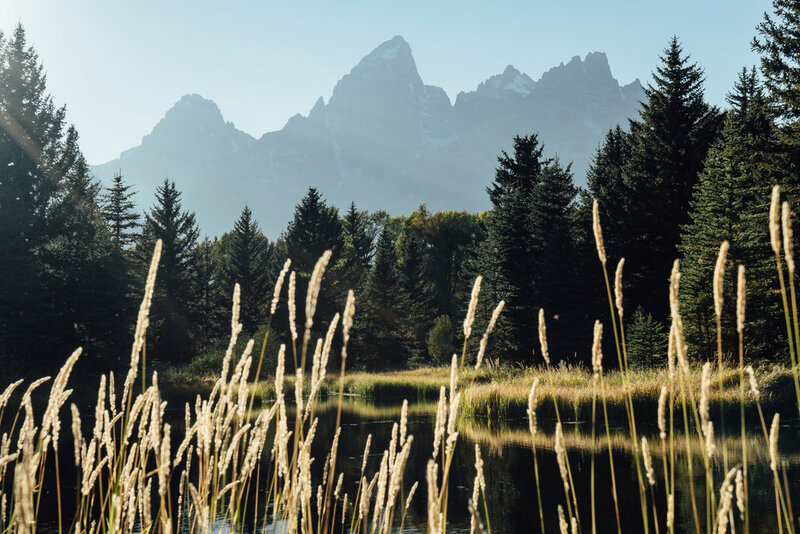 The Oxbow Bend during the day. The sun casting its golden morning light on the Teton range from the famous Moulton Barn. 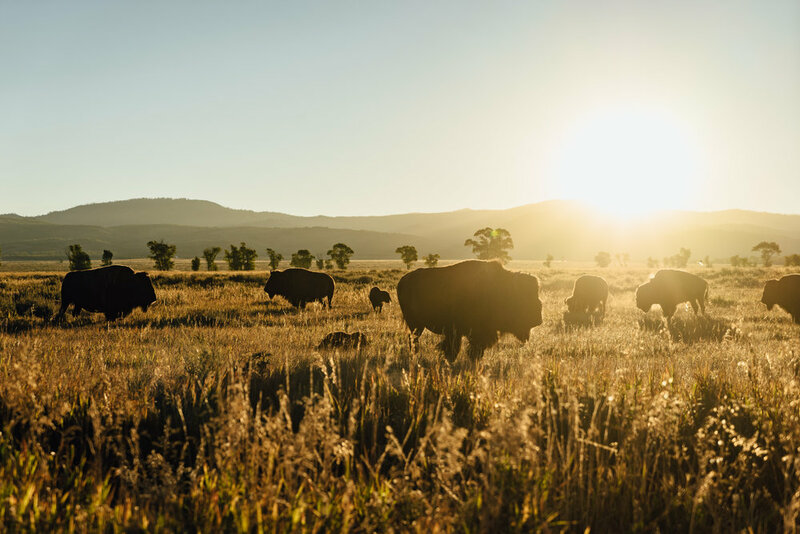 The bisons rise early for feeding in the Antelope Flat. This feels like a scene that you’d see in a classic western film.